Did he forget they lost to Newcastle? Steven Scragg’s latest look at the title race. The centre-back’s message to supporters. The boss in typically measured form after Leicester draw. The good, the bad and a missed opportunity. Praise for Mane, criticism for Keita and Shaqiri. 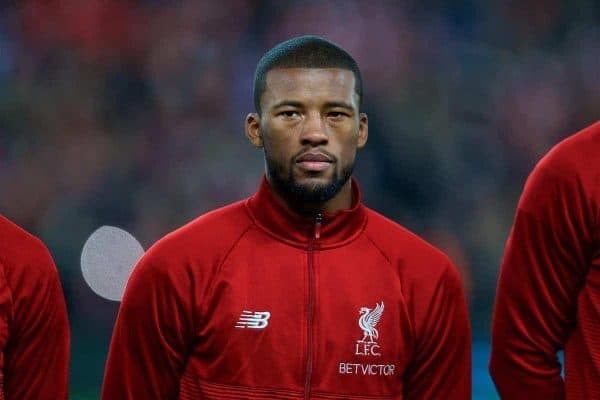 Gini Wijnaldum was powerless to do anything about Liverpool dropping points against Leicester on Wednesday night, following the 1-1 draw at Anfield. “We could’ve created a gap of seven points. At the end it’s five but of course we are disappointed that we couldn’t make it seven. “I think we had a good start, we scored quick [and] after that we had a lot of possession. We didn’t create a lot of chances after that, but it was good. “They had one chance with the header of Maddison, but the second chance was a goal from them. 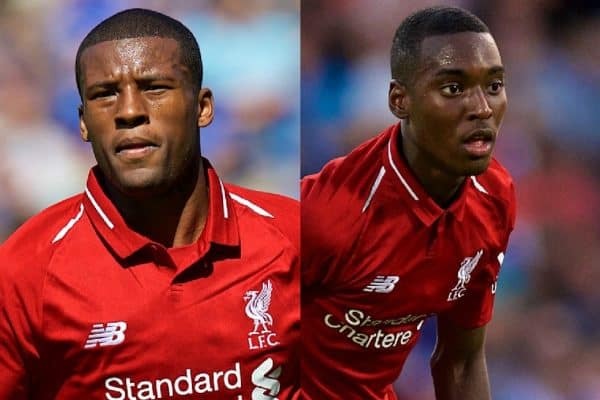 Disappointing though it may be to draw, Wijnaldum is spot on: Liverpool are still literally in a better position than they were at the weekend. 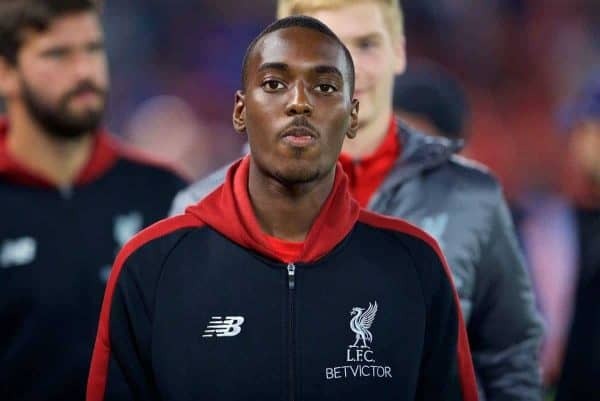 Jordan Henderson was used at right-back against Leicester, with the inexperienced Rafa Camacho left on the bench despite being more natural in the role. 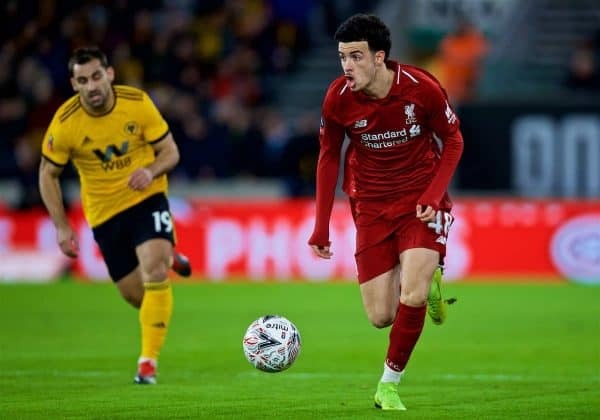 Jurgen Klopp has explained the decision, saying the Foxes’ threat down the left flank would have made it a tough assignment for the youngster. “We had to find a solution,” Klopp said. “They go for it on that side. [Ben] Chilwell is usually really involved in the offensive play, overlapping constantly, stuff like that. 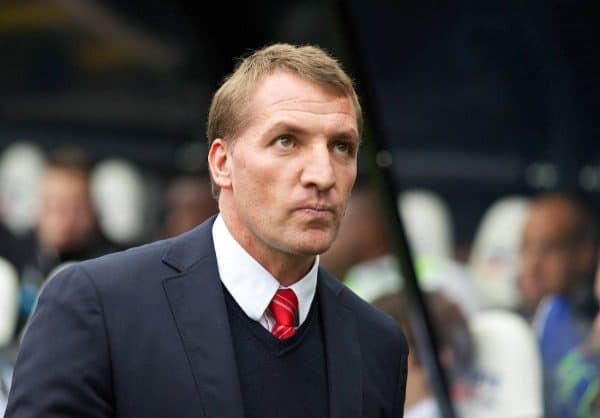 Brendan Rodgers knows all about falling short in a Premier League title race, following the disappointment of 2013/14. “With 10 games to go the dynamic changes and then with five to go it changes again. It’s just about trying to stay calm and focus on playing well, and if you can do that you get the chance to win. “I look at it back in 2014, in our last 14 games we actually won 12 of them, drew one and lost one, but we still ended up losing the title. “It’s a difficult one for Liverpool. It’s an incredible club and the support is amazing, but because it’s been so long the emotion can really affect them. The Reds have looked a little nervy in recent weeks, with no league performance in 2019 entirely convincing—how they deal with the expectations will be huge in the remaining 14 games. 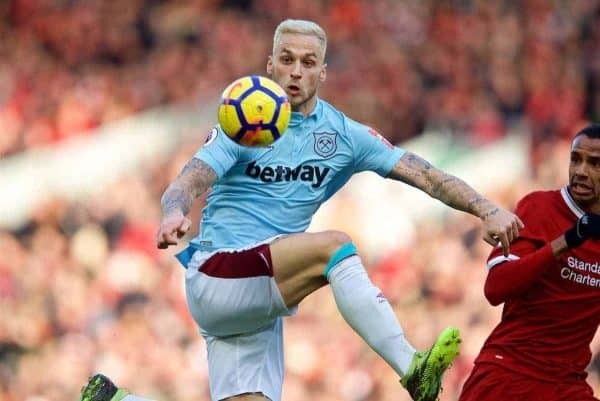 Liverpool head to West Ham on Monday night for their next Premier League examination, with Marko Arnautovic a key man for the Hammers. The Austrian, who recently signed a new deal at the London Stadium, limped off in Tuesday’s 3-0 defeat to Wolves, with doubt surrounding his involvement against the Reds. Despite leaving Molineux on crutches, Arnautovic is expected to be fit for the game, after it was revealed he only suffered bruising to his foot. Liverpool U23s will face The Spartans FC in July as part of the young Reds’ pre-season, the club have confirmed. The youngsters will meet their Scottish opponents on July 15 at Ainslie Park, home of the two-time Lowland League champions. Ticket information and kickoff time will be arranged nearer the time.